This Thanksgiving, my sister and brother-in-law got to talking with me about protein. Since I am a vegetarian and they know I take a lot of karate classes they were wondering whether I was getting enough protein. As it turns out, my sister had just bought a 96 ounce bottle (that's six pounds!) of some sort of protein shake mix. Add a small scoop of this stuff to just 5 ounces of water and you get a chocolatey 22 grams of protein. Both my sister and brother-in-law claimed to not like chocolate (Weirdos! Who doesn't like chocolate??) and they said they bought the chocolate flavor by mistake, so they offered the big bottle to me. I was a bit skeptical about how good something could be that says "Tastes Great!" on the label - and also something that uses the term "Instantized". I mean, is that even a real word? But I hid my suspicions and accepted their generous gift. And what do you know? The stuff really does taste great! I've heard lots of horror stories about protein drinks tasting chalky or just plain gross, but this stuff tastes very good. And who can argue with 22 grams of protein? And it's instantized! I still have no idea what that means, but it must contribute to the good taste in some way. And speaking of "way", this protein is whey protein, which comes from milk. So if you don't approve of drinking milk, then you might want to stick with soy-based protein. But, if it's just a lactose concern, from the description on the bottle, it appears they claim the lactose is removed by "ultrafiltration and diafiltration". Hmmm.... are these more made up words? In any case, if you are looking for a high protein drink and don't mind goofy marketing words on the bottle, I give this a thumbs up! 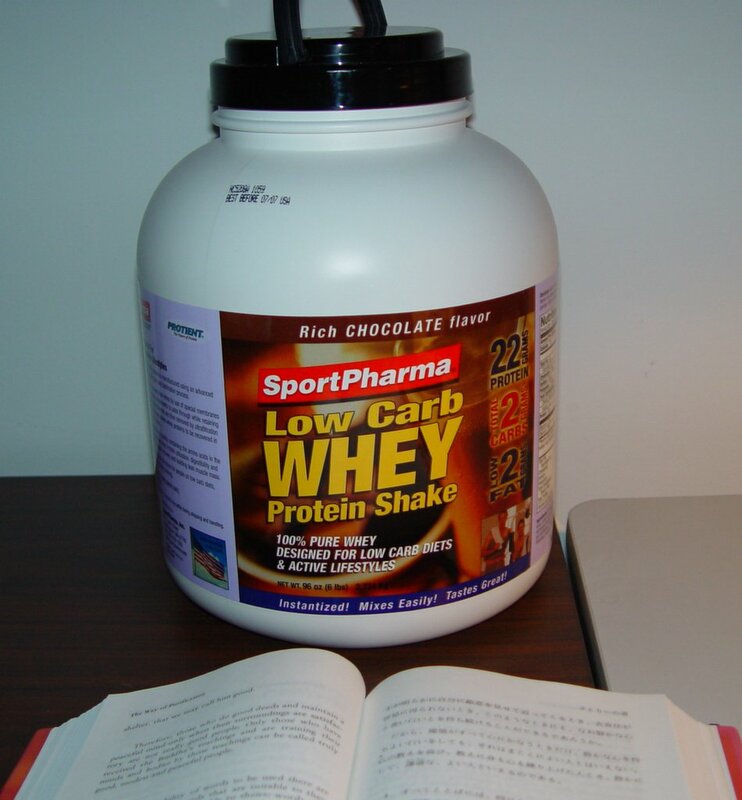 The only potential drawback is the huge size of the bottle (note the book in the picture above for a sense of scale). The bottle is slightly bigger than a basketball, albeit a slightly squished basketball. And there aren't many places in my kitchen where I can easily fit a slightly squished basketball. really! who doesnt like chocolote?!?!? chocolotes the best! they MUST have been lying!!! !